Since it's been super cold here in Michigan, many of us have been spending more time indoors. That gives us plenty of time to catch up on our favorite shows or try watching a new show. Here is a recap of what I've been watching. My husband and I are almost done with S3 of Chuck. We discovered LilyHammer & Californication, which are both completely adult only, so make sure the kids aren't around. I watched S1 of Reign and I'm looking forward to the current season. My daughters & I also finished S1 of Once Upon a Time and we already started S2. 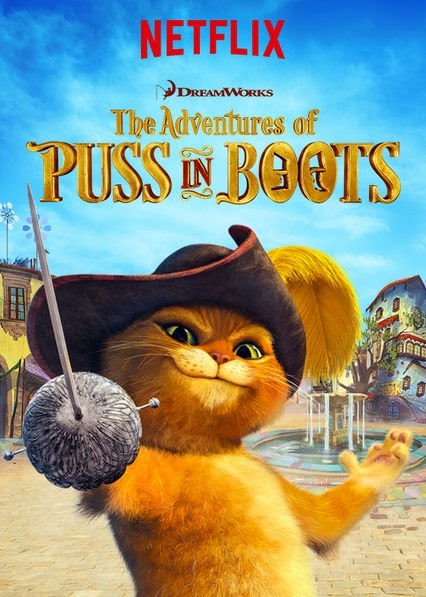 The Adventures of Puss in Boots, comes to Netflix on Jan. 16. I'm quite positive my daughters will like this series because they loved him in Shrek. Try these other suggestions of Four-Legged Stars to Stream on Netflix. Snow Buddies is one of my girls' favorite movies. Guard your treasures from sticky paws or save up for your first pet with this DIY kitty bank. Click here to learn how to make your own. Channel your inner milk connoisseur with this homemade hot chocolate recipe featuring cat-shaped marshmallows -- the purr-fect winter treat! 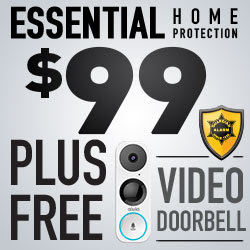 Click here to learn how to make your own. Netflix works for me because I have 3 kids and no babysitter. So, my husband & I spend our "date nights" watching Netflix. We haven't had a going out date night since October 2013. Find more "Works for Me" posts here. What have you been watching on Netflix? Anything really good I should check out?